Find everything you need to plan a funeral in Portsmouth, including the funeral directors that the local community recommends, as well as the churches and wake venues that are available for hire. If you need help organising a funeral in Portsmouth the following funeral directors will be able to help. Each funeral home has been reviewed by former customers in the Portsmouth area, making it easy for you to find a funeral director that local residents trust. Why choose a funeral director in Portsmouth? Where can you hold a wake in Portsmouth? There are a number of Portsmouth funeral directors listed on Thomson Local, so if you are planning a funeral in the area, you can be confident that expert help is available locally to guide you through this difficult time. Portsmouth is a city located in Hampshire and has a population of around 205,000 people. The majority of the city is actually built on an island known as Portsea and is well-known throughout the world as a major port. Locals affectionately refer to the city as Pompey and consider it to be the home of the Royal Navy. The city of Portsmouth is also home to several beauty spots, including Staunton Park, Southsea Rose Garden and The Wildgrounds Nature Reserve. So if you or your loved one has an interest in naval history, or hold a special connection to the city of Portsmouth then it’s a wonderful place to consider as a final resting place. There are a number of historic churches in Portsmouth including the Royal Garrison Church which was built in 1212 by the Bishop of Winchester. Here are some other notable churches that can be hired for a funeral in Portsmouth. Portsmouth Cathedral, which is also known as The Church of St Thomas of Canterbury, is located in old Portsmouth. It has a rich history, even managing to survive the French raid of 1337 which destroyed much of Portsmouth during the Hundred Years War. The church tower has even served as a lighthouse, helping to guide ships as they navigated into the port. Surprisingly Portsmouth Cathedral is actually one two cathedral churches in Portsmouth, the other being the Roman Catholic Cathedral of St John the Evangelist. 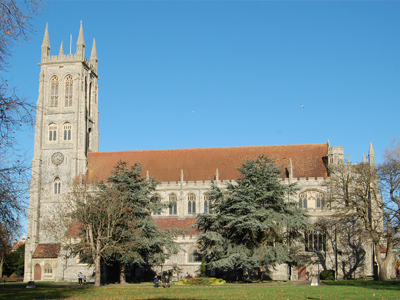 The cathedral can be hired for funerals, either by speaking with your funeral director or by visiting the official Portsmouth Cathedral website. 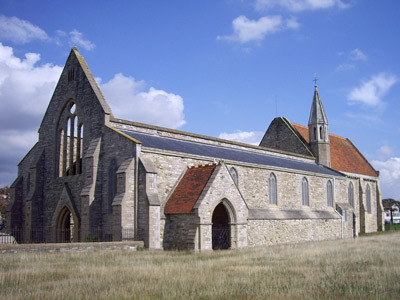 The Royal Garrison Church is located in Portsmouth and was built in 1212 by the Bishop of Winchester. Unfortunately, the church was ravaged by firebombs in 1941, leaving much of the structure in ruins. Thankfully the church was soon restored and now includes depictions of the Second World War and its own history in the stained glass windows. The Royal Garrison Church can be booked for a funeral, either by speaking with your funeral director or by contacting the church direct on 023 9237 8291. If you would like to hire St John’s Catholic Cathedral for a funeral, you can either speak to your funeral director or contact the church directly on the official St John’s Catholic Cathedral website. 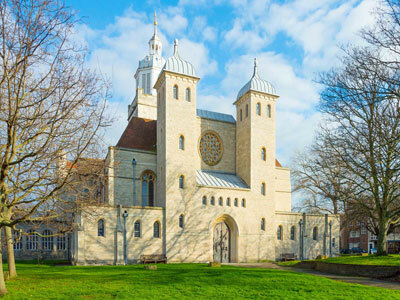 St Mary’s Church is located on Portsea Island in Portsmouth and is the oldest church on the island with a rich history that dates back to the 11th century. The church was built by the First Lord of the Admiralty, with the goal of being an inspiration to anyone that saw it. 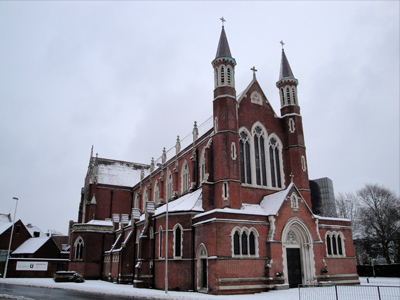 If you would like to hire St Mary’s Church for a funeral in Portsmouth, all you need to do is speak to your funeral director or visit the official St Mary’s Church website. For many people, a cremation is preferable over a burial. This can be any number of reasons, from reasons of faith and personal choice to the need to keep the costs of the funeral low. In the case of the latter, this is because a direct cremation is often more affordable than a standard cremation or traditional burial. If you are choosing a cremation over a burial for the deceased then the following Portsmouth crematoriums will be able to assist you. People often choose to hold a wake after a funeral as a way for friends and family of the deceased to be able to gather in remembrance. This often includes the celebration of accomplishments, sharing of stories and insights into their personality. For many people, this provides great comfort as remembering those that we loved is the greatest thing that we can ever give them. Wakes are generally held in venues that can accommodate a group of people, including the provision of food, refreshments and adequate seating. This is why wakes are often held in the function rooms of local pubs and bars. However, it’s not uncommon for hotels, golf clubs and other large venues with onsite catering facilities to be used for a wake. If you would like to hire a wake venue in Portsmouth then the following locations are well worth your consideration. 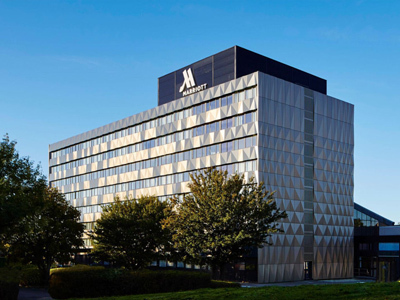 The Portsmouth Marriott Hotel is located just a few minutes away from the Solent, just off the M27. This makes it very accessible and near to local sights such as Gunwharf Quays, the Naval Dockyard and Spinnaker Tower. The venue has 7 meeting rooms with a maximum capacity of 350 guests. There are also restaurants onsite that can provide refreshments and catering services for you and your guests. If you would like to hire The Portsmouth Marriott Hotel for a wake, please contact your funeral director or reach out to the venue directly on the official Marriet Hotel website. The Guildhall in Portsmouth is well known for hosting events and big acts such as The Beatles and in more recent history, Mumford & Sons. 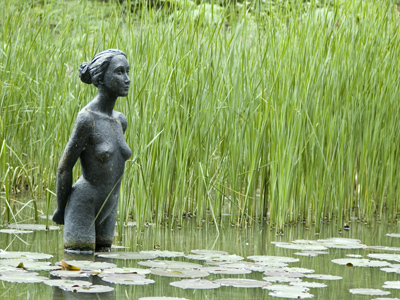 As a result, the venue has earned itself a reputation as one of Hampshire’s leading cultural destinations for the performing arts. 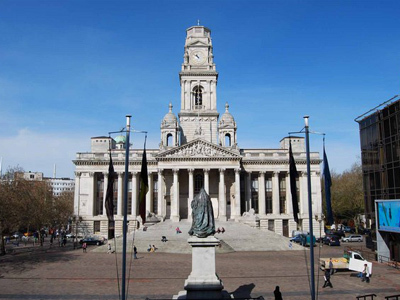 With 9 rooms and a total capacity of 2000+ guests, the Portsmouth Guildhall is more than able to host a wake. To hire the Guildhall in Portsmouth for a wake, speak with your funeral director or contact the venue direct on the Portsmouth Guildhall website. 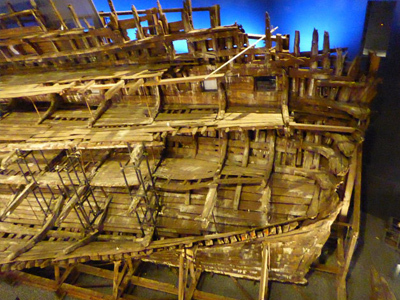 The Mary Rose Museum doesn’t just offer a glimpse into England’s unique maritime history, it’s also a place where groups can gather in unique surroundings. This includes the atmospheric Admiral’s Gallery which can accommodate up to 100 guests. Alternatively, up to 18 people can be accommodated in the private Wardroom, which is decorated with beautiful paintings of The Mary Rose. Contact your funeral director to hire The Mary Rose Museum for a wake or speak with the venue directly on The Mary Rose Museum website. Goals function rooms in Portsmouth is a multifunction venue that’s able to cater to almost any type of event. Each venue has a dedicated suite with a maximum capacity of 120 guests, with an onsite bar and an events team on hand to help plan any occasion, including a wake. 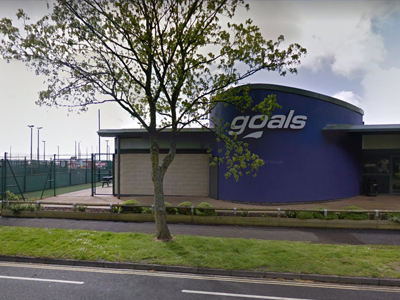 If you would like to hire the Goals function room for a wake please speak to your funeral director, or contact the venue direct on the official Goals Portsmouth website. The Farmhouse and Innlodge in Portsmouth is well equipped to cater to varying numbers of guests, with five meeting rooms available. This includes the Executive Suite which is able to accommodate up to 160 people and has an adjoining terrace, complete with a garden if you’re looking for an outside space. If you would like to hire The Farmhouse & Innlodge for a wake you can speak with your funeral director, or if you prefer, contact the venue directly on the Farmhouse and Innlodge website. Flowers are a wonderful and universally appreciated way of showing sympathy and respect during a time of grief. However, it can sometimes be difficult to know what flowers to choose for the occasion. Fortunately, the following florists in Portsmouth will be able to help you. If your loved one is to be cremated then you may want to consider scattering their ashes in a place of beauty, such as a nature spot or a place of former significance. Many people consider this to be a way of returning their loved one back to nature. If you are considering scattering the ashes of a loved one in Portsmouth then the following locations are worth consideration. 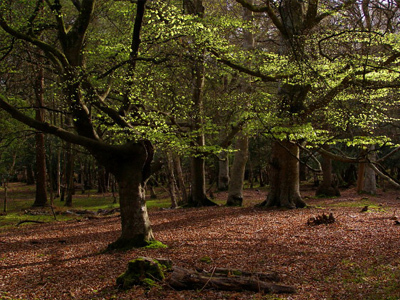 Located just 26 miles from Portsmouth, the New Forest is a must-see for any nature lover. It’s seemingly endless trees and plentiful untouched countryside is beautiful all year round, affording visitors the chance to escape from the modern world. If your loved one felt at home in nature then The New Forest is a wonderful place to consider scattering their ashes. 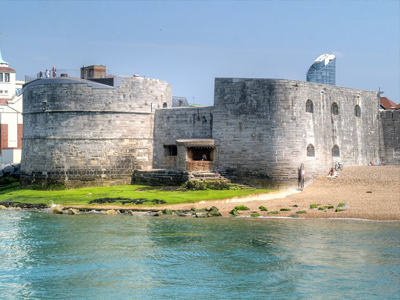 The Round Tower in Portsmouth is a Grade I listed building and former fortification that once guarded the entrance to Portsmouth harbour. The building is actually one of Portsmouth’s oldest military relics and is popular among visitors for its panoramic views of the city and sea. Lumps Fort is well-known for its Rose Gardens and Japanese Gardens, both of which are beautiful all year round. 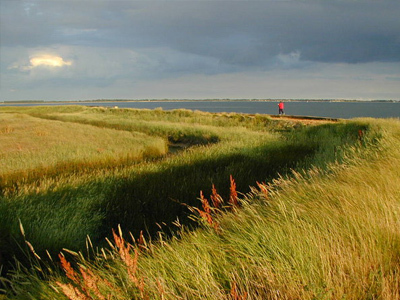 Visitors are also able to wander up to the top, affording them breathtaking views over the Solent. Farlington Wildlife Reserve is a beautiful place to go for a relaxing walk among nature. The reserve also affords visitors the chance to view its abundant wildlife, including short-eared owls, that can often be viewed during the day.